Creating Progressive Web Apps Using Angular — How to build a Progressive Web App by taking advantage of the Angular PWA tools. Android Oreo Takes A Bite Out of Progressive Web Apps — There may be some issues with PWAs on the new Android release, ‘Oreo’ - though, in this case, it’s also worth reading through the comments. Polymer Summit 2017 is coming to Copenhagen on 22-23 August — The Polymer Summit will be taking place in Copenhagen, Denmark on 22-23 August! 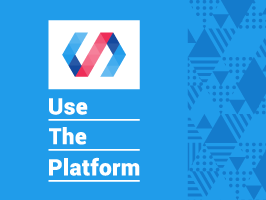 Attend talks and workshops with Polymer & Google engineers. If you can't attend in person, you can watch the livestream on the event site. Announcing PhoneGap Push Plugin Version 2.0.0 — The PhoneGap Push plugin version 2.0.0 has been released and includes support for Firebase Cloud Messaging (FCM). Native Apps with Vue.js: Weex or NativeScript? — Comparing the two current options for building mobile apps with Vue.js. Building a Hybrid-Rendered PWA — Implementing a hybrid rendering strategy to get the best of both worlds: Pages that load quick on the first load and play well with crawlers. Google Making Changes to AMP to Potentially Help News Publishers — Google is said to be working on tools using AMP to help news publishers boost paid subscriptions and earn more revenue from readers. Mobile Development: Native Or Cross-Platform? — A look back to the rise of mobile apps and the pros and cons of choosing a development solution at different points over the years. Awesome Expo Apps for React Native — How to use Expo (tools for React Native) to build mobile apps. Scaffold Your Next Mobile App with a NativeScript Template — Some templates to get your next NativeScript project started. Bringing Your User Profile Store to Mobile with NativeScript and Angular — Learn how to take the user profile store example from previous tutorials and create a mobile front-end for it using NativeScript and Angular. Why We Broke Our Philosophical Vows to Bring You CircleCI 2.0 — So why would we, as a company that literally has ‘CI’ in its name, spend so much time crafting an actual release? 4 Ways Friction Can Improve UX — When to consider adding friction to your apps to improve the user experience. Customizing Ionic Native Mocks — How to customize Ionic Native Mocks code for testing plugins with your Ionic apps.